We have discussed numerous trading strategies on the Tradingsim blog. From the very basic, to the ultra-complicated. Today we are going to cover one of the most widely known, but misunderstood strategies – scalp trading, a.k.a scalping. If you like entering and closing trades in a short period of time, then this article will definitely suit you best. This article is broken up into three primary sections. Section one will cover the basics of scalp trading. The second section will dive into specific trading examples. Lastly, section three will cover more advanced scalp trading techniques that will help increase your odds of success. Years ago, when stocks were quoted in fractions, there was a standard spread of 1/16 of a dollar or a "teenie". This spread allowed scalp traders to buy a stock at the bid and immediately sell at the ask. Hence the teenie presented clear entry and exit levels for scalp traders. The scalp trading game took a turn for the worst when the market converted to the decimal system. 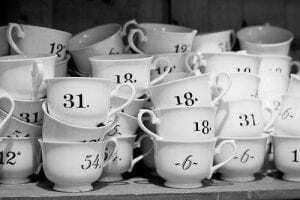 The decimal system closed the "teenie" often times to within 1 penny for high volume stocks. This overnight shifted the strategy for scalp traders. A scalp trader now had to rely more on their instincts, level II, and the time and sales window. A scalp trader can look to make money in a variety of ways. One method is to have a set profit target amount per trade. This profit target should be relative to the price of the security and can range between .%1 - .25%. Another method is to track stocks breaking out to new intra-day highs or lows and utilizing Level II to capture as much profit as possible. This method requires an enormous amount of concentration and flawless order execution. Lastly, some scalp traders will follow the news and trade upcoming or current events that can cause increased volatility in a stock. Unlike a number of day trading strategies where you can have a win/loss ratio of less than 50% and still make money, scalp traders must have a high win/loss ratio. This is due to the fact that losing and winning trades are generally equal in size. The necessity of being right is the primary factor scalp trading is such a challenging method of making money in the market. Now that we have covered the basics of scalping, let’s explore a few trading strategies you can test for yourself. One of the most attractive ways to scalp the market is by using an oscillator as the indicator leads the price action. Yes, it sounds pretty simple; however, it is probably one of the hardest trading methodologies to nail down. Since oscillators are leading indicators, they provide many false signals. The reality is that if you scalp stocks with one oscillator, most likely you are going to accurately predict the price action 50% of the time. Literally the equivalent to flipping a coin. While 50% may prove a profitable ratio for other strategies, when scalping, you need a high win to loss ratio due to the increased commission costs. The slow stochastic consists of a lower and an upper level. The lower level is the oversold area and the upper level is the overbought area. When the two lines of the indicator cross upwards from the lower area, a long signal is triggered. When the two lines of the indicator cross downwards from the upper area, a short signal is generated. The below image further illustrates these trade signals. This is the 5-minute chart of Netflix from Nov 23, 2015. At the bottom of the chart, we see the stochastic oscillator. The circles on the indicator represent the trade signals. In this case, we have 4 profitable signals and 6 false signals. The 4 profitable signals generate $2.40 per share of Netflix. However, the losses from the 6 false signals generate a loss of almost $3.00 per share. You are probably asking yourself, what went wrong? The bottom line is the stochastic oscillator is not meant to be a standalone indicator. You need some other form of validation to strengthen the signal before taking a trading opportunity. In the next trading example, we will combine the stochastic oscillator with Bollinger bands. We will enter the market only when the stochastic generates a proper overbought or oversold signal that is confirmed by the Bollinger bands. In order to receive a confirmation from the Bollinger band indicator, we need the price to cross the red moving average in the middle of the indicator. We will stay with each trade until the price touches the opposite Bollinger band level. Above is the same 5-minute chart of Netflix. This time, we have included the Bollinger bands on the chart. We start with the first signal which is a long trade. Notice that the stochastic generates a bullish signal. However, the price does not break the 20-period moving average on the Bollinger band. Therefore, the signal is false. The second signal is also bullish on the stochastic and we stay long until the price touches the upper Bollinger band. At the end of this bullish move, we receive a short signal from the stochastics after the price meets the upper level of the Bollinger bands for our third signal. A price decrease occurs and the moving average of the Bollinger bands is broken to the downside. We have a short signal confirmation and we open a trade. The fourth trade provides a long opportunity after the selloff. The stochastic generates a bullish signal and the moving is broken to the upside, therefore we enter a long trade. We hold the trade until the price touches the upper Bollinger band level. As you can see on the chart, after this winning trade, there are 5 false signals in a row. Talk about a money pit! The good thing for us is that the price never breaks the middle moving average of the Bollinger band, so we ignore all of the false signals from the stochastic oscillator. After the 5 false signals, the stochastic provides another sell sign, but this time the price of Netflix breaks the middle moving average of the Bollinger band. We go short, holding the trade until the price touches the lower Bollinger band. If we compare the two trading methodologies, we realize that with the Bollinger bands we totally neutralized all the false signals. First trade: 6,000 x 0.0042 = $25.20 profit. We were able to generate $141.07 of profit with four scalp trades. Each of these trades took between 20 and 25 minutes. While these trades had larger percentage gains due to the increased volatility in Netflix, the average scalp trade on a 5-minute chart will likely generate a profit between 0.2% to 0.3%. This is really my favorite of all the strategies. Simply put, you fade the highs and buy the lows. You really need the following two items (1) low volatility and (2) a trading range. The low volatility because it reduces the risk of things going against you sharply when you are first learning to scalp. The trading range provides you a simple method for where to place your entries, stops, and exits. In the next example, let's take a look at the S&P Futures E-mini contract to identify scalping opportunities. Why the E-mini contract? Well, it has low volatility, so you have a lower risk of blowing up your account if you use less leverage and the E-mini presents a number of trading range opportunities throughout the day. Notice how the tight trading range provides numerous scalp trades over a one-day trading period. Later on, in this article, we will touch on scalping with Bitcoin, which presents the other side of the coin with high volatility. We discussed a profitable scalp trading strategy with a relatively high win/loss ratio. We also suggested leveraging 15% of the buying power for each scalp trade. Now we need to explore the management of risk on each trade to your trading portfolio. Since you are a scalp trader, you aim for lower returns per trade, while shooting for a higher win/loss ratio. Therefore, your risk per trade should be small, hence your stop loss order should be close to your entry. To this point, try not to risk more than .1% of your buying power on a trade. Let’s see how a tight stop would impact the stochastic/Bollinger bands scalp trading strategy. This is the 2-minute chart of Oracle Corporation from Nov 24, 2015. There were three trades: two successful and one loser. For the first trade, the stochastic crossed below the overbought area, while at the same time the price crossed below the middle moving average of the Bollinger band. We shorted Oracle at $39.06 per share, with a stop loss at $39.09, 0.1% above our entry price. The price began decreasing and 14 minutes later, ORCL hit the lower Bollinger band. We exited the trade at 38.95, with a profit of 0.28%. After hitting the lower Bollinger band, the price started increasing. The stochastic lines crossed upwards out of the oversold area and the price crossed above the middle moving average of the Bollinger band. We went long on this signal at $39.04. Our stop loss is located at $39.00, 0.1% below the entry price. This trade proved to be a false signal and our stop loss of .1% was triggered 2 minutes after entering the trade. The third and final signal took over 40 minutes to develop. After the price crossed above the oversold territory and the price closed above the middle moving average, we opened a long position. 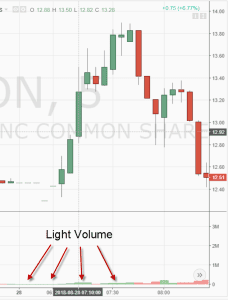 We entered the market at $38.97 per share with a stop loss at $38.93, 0.1% below our entry price. This time Oracle increased and we closed a profitable trade 2 minutes after entering the market when the price hit the upper Bollinger band, representing a 0.17% price increase. First Trade: 6,000 x .28% = $16.80 profit. These three trades generated a profit equal to $21. The total time spent in each trade was 18 minutes. Usually, when you scalp trade you will be involved in many trades during a trading session. Sometimes, scalp traders will trade more than 100 trades per session. I would be remised if I did not touch on the topic of commissions when scalp trading. If you look at our above trading results, what is the one thing that could completely expose our theory? You guessed it right, commissions. If you have a flat rate of even 5 dollars per trade, this would make the exercise of scalp trading pretty much worthless in our previous examples. This is why when scalp trading, you need to have a considerable bankroll to account for the cost of doing business. You are going to find it extremely difficult to grow a small account scalp trading after factoring in commissions and the tax man at the end of the year. The only thing you will end up doing after thousands of trades is lining your broker’s pocket. Just having the ability to place online trades in the late 90s was thought of as a game changer. Now fast forward to 2018 and there are firms popping up offering unlimited trades for a flat fee. So, if you are looking to scalp trade, you will want to give some serious thought to signing up for one of these brokerage firms. 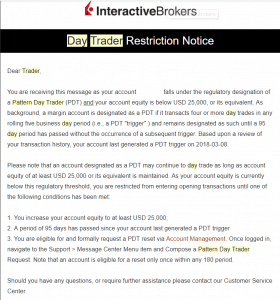 Let's say you place on average 10 trades per day. This would translate to approximately 2.400 day trades per year. Assuming the average commission per trade is $4, this could run you over $12,000 per year. You can use brokerage firms like Choice Trade or EF Hutton. Now it's not all perfect with these brokers. What I mean by this statement is for Choice Trade you cannot execute orders for more than 10,000 shares and for stocks below $1.00. However, if you are going to trade small in size you can literally save over $11,600 dollars in commissions. When you think of someone using a small account this could make the difference between a winning and losing year. This is going to sound counter to the entire idea of scalp trading. What comes to mind when I say scalp trader? You are likely going to think of a trader making 10, 20 or 30 trades per day. Well, what if scalp trading just speaks to the amount of profits and risk you will allow yourself to be exposed to and not so much the number of trades. There was a study conducted of 43 million FXCM trader accounts and guess what it showed? That if traders use proper risk-reward expectations - they will make more money over the long run. It's not about the high winning percentage, as trade data from their account holders showed that on average their account holders placed more winning trades than losing trades. Here is another story that references a study from FXCM where after analyzing the desk to see if going counter to the worst trader's picks would be profitable only showed profitability often came down to trading less. So again, as a scalper or a person looking into scalp trading - you might want to think about cutting down on the number of trades and seeking trade opportunities with a greater than 1 to 1 reward to risk ratio. We can't get through an article on scalp trading and not touch on the topic of algorithmic trading. 20 years ago, you were trading against other humans. Now there are open source algo trading programs anyone can grab off the internet. These algorithms are running millions of what-if scenarios in a matter of seconds. It's to the point now large hedge funds have entire quants divisions setup to find these inefficiencies in the market. Now I'm not going to tell you whether this should matter to you or not. The only point I am going to make is you need to be aware of how competitive the landscape is out there. Now we all have to compete with the bots, but the larger the time frame, the less likely you are to be caught up in battling for pennies with machines thousands of times faster than any order you could ever execute. This is one positive regarding scalp trading that is often overlooked. In trading, you have to take profits in order to make a living. This is much harder than it may seem as you are going to need to fight a number of human emotions to accomplish this task. Well, this is where scalp trading can play a critical role in building the muscle memory of taking profits. Scalp trading requires you to get in and out quickly. The key word in that last sentence is out. Scalp trading did not take long to enter into the world of Bitcoin. Traders in this growing market are forever looking for methods of turning a profit. To this point, let's review a few characteristics of Bitcoin that may prove challenging for scalp traders. Bitcoin is really volatile. 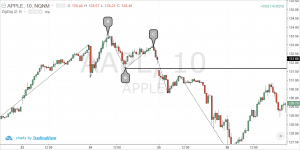 Therefore, scalp trading will provide a number of trading opportunities, but you will need to adhere to strict stops to avoid getting in a jam. There are many brokerage firms offering 15 to 1 leverage. Some even offer up to 50 to 1 leverage. While this may sound super exciting, in reality, this could expose you to the risk of blowing up your account. So, as stated throughout this article, you will need to keep your stops tight in order to avoid giving back gains on your scalp trades. Scalp trading involves entering trades for a short period of time to catch swift price moves. - control your inner greed because you aim for small profits. If you scalp trade, you need a win/loss ratio greater than 50%. Oscillators could be very useful for your scalp trading system because they are leading indicators; however, oscillators are not meant to be a standalone indicator. Try to find indicators that complement each other so you can validate trade signals. - Invest around 15% of your buying power in each scalp trade. - Put a stop loss 0.1% from your entry price. - You will usually make between .2% and .3% per trade if you trade lower chart frames. If you scalp on higher chart time frames (5-minute, or more) you targets might be higher. You must have a solid bankroll to scalp trade. Small accounts will be eaten alive by trading commissions. 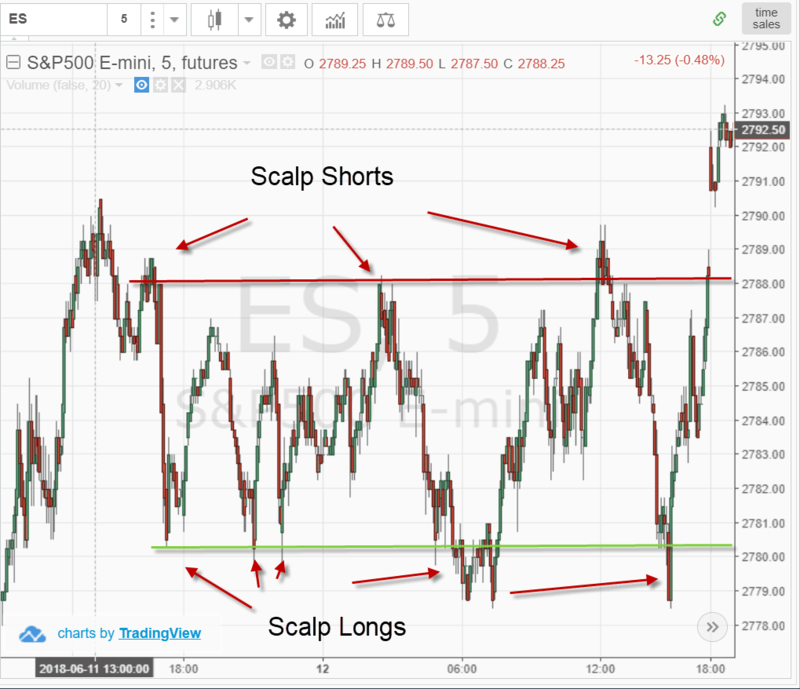 To practice scalp trading strategies and topics detailed in this article please visit the homepage https://tradingsim.com to see how we can help. You can also simulate trading commissions to see how different tiers of pricing will impact your overall profitability. Trendline breakout candle close with STOCH. works very nice on 15min & above timeframe , I usually trade on daily charts so only once a day for 30 min.- 1hr.I need to watch the DAILY CANDLE when the previous day candle closes , also it enables to enter mkt.at the beginning of a rally generating massive pips , but the most imp.part is the Trendline breakout with closing of the previous candle.This filtration false signals of STOCH.with price-action.GOD BLESS U.